Delightfully different, the Gucci Ghost collection brings this dog tag necklace to another level. 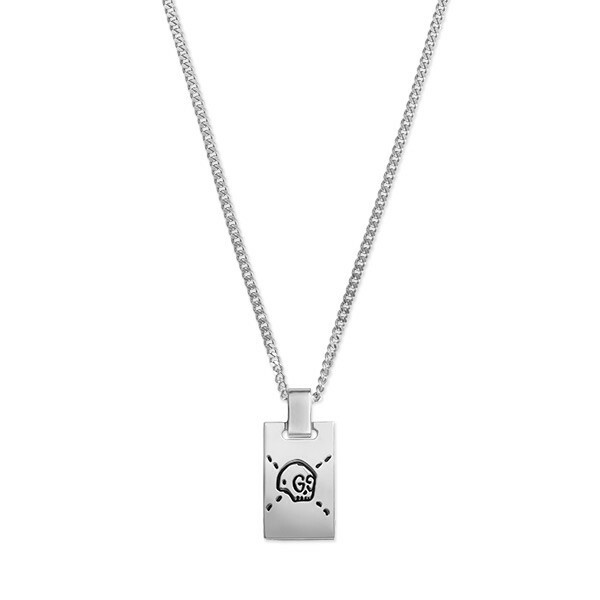 The dog tag is forged in sterling silver that is finished with rhodium, and it's etched with a single skull sporting double G eyes and a stitched X. This tantalizing Gucci necklace is a must-have for the Halloween lover.